Live Model Sketching. There’s something special about sketching a real person. We started live model sketching in the shop last year as part of our weekly artist meet up. The meet ups didn’t last, but the live models did. 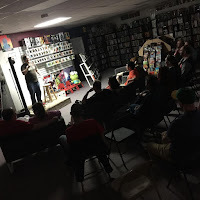 Join us for the next one: it’s always the last Tuesday of the month. Check our calendar for additional details. 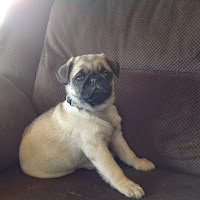 Captain Dylan Hunt (the pug). We added a precious bundle of joy to our family last year. Dylan is full of energy and loves to play. You can meet her in the shop along with Rolly Polly, so be sure to bring in your dog to say hello. 65” giant television. My, what a big TV you have! The better to watch cool stuff together, haha. Like on Back to the Future Day when the shop was packed and we count down to when the future became the past! Roomier store with lots of light. Right?! Light. Space. Couches. TV. Conversation. Comic books. ‘Nuff said. 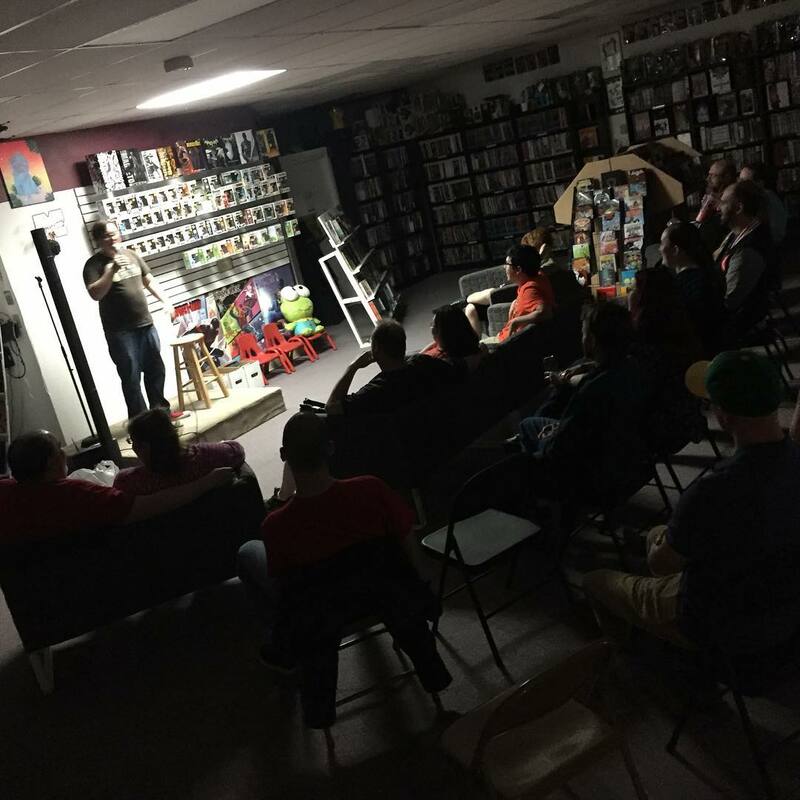 Empire’s Comics Vault's Movie Crew. Hey. 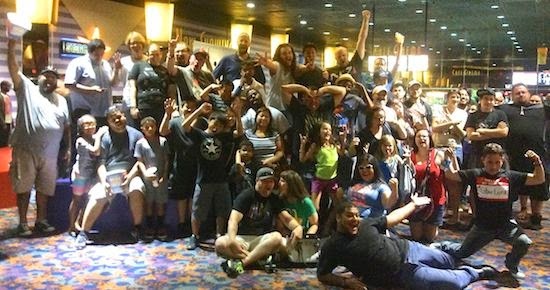 I get it: there are a lot of different opinions out there about Avengers: Age of Ultron, but nothing compares to the massive movie crew that joined us for Avengers II. Of course, we put out a podcast episode about it. We also went to see Mad Max Fury Road together at Studio Movie Grill. Good times! Sac City Rollers roller derby bouts. Not only are these games action packed, but we also have a special section. Boom. I was a Crocker-Con costume contest judge! So cool. That is all. Sac-Con expanded beyond the walls of the Scottish Rite Temple. Wow, Sacramento is all about the comics. We love that, and we love this town. Cracking the Vault — our official podcast. Our podcast crew is hands down the best! They get crazy, silly, teary, serious, wordy, goofy, and we love every minute of it. They are the ultimate, everyday comic book fans and you really need to meet them — Jake, Amy, Patrick, and Tony — and subscribe. Good Day Sacramento’s Cody Stark and I were on a panel discussion at Intergalactic Expo. We talked about CW shows and their comic book counterparts. It was a good time for sure. 2016 has been filled with great things that will continue in the coming months. Join us and we’ll have good times together.